Price reduction! MOTIVATED SELLER! Single story Surprise home offers a warm neutral color palette for easy personal design! 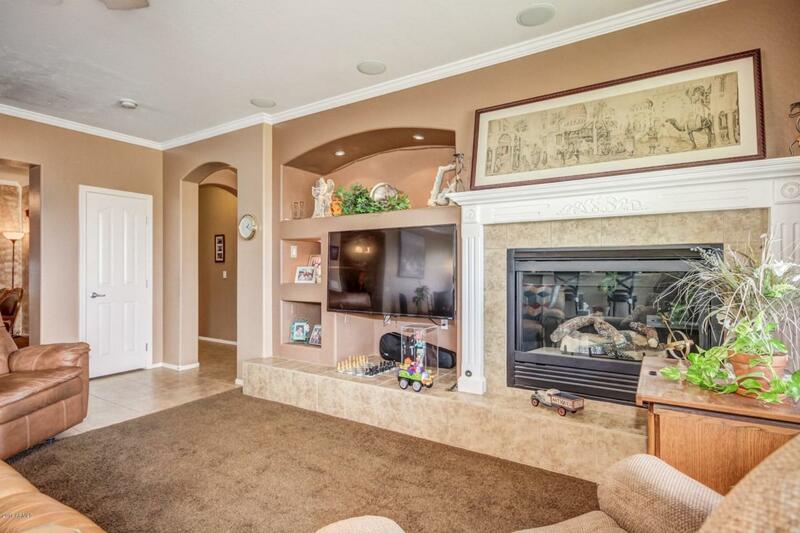 Family room has a cozy fireplace, surround sound speakers and a built-in media center with open shelving to display your personal collections! 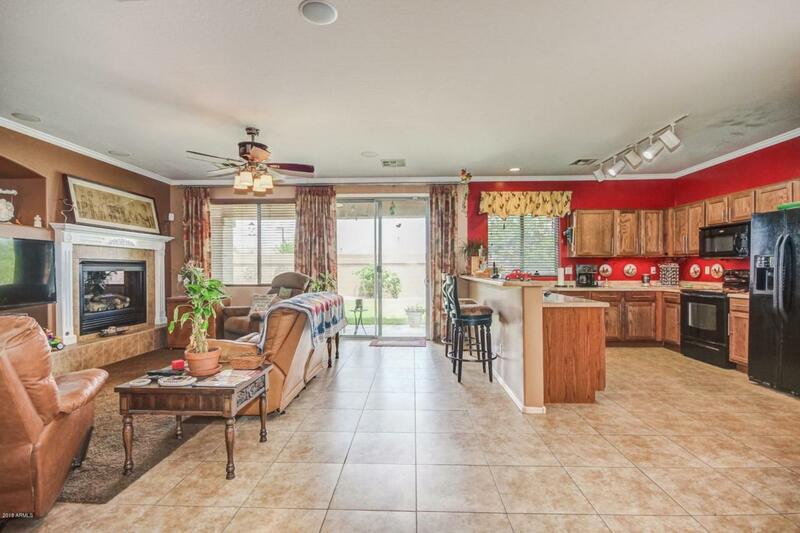 Cook like a pro in the eat in kitchen with a plethora of cabinets, pantry, ample counter space, and a breakfast bar. 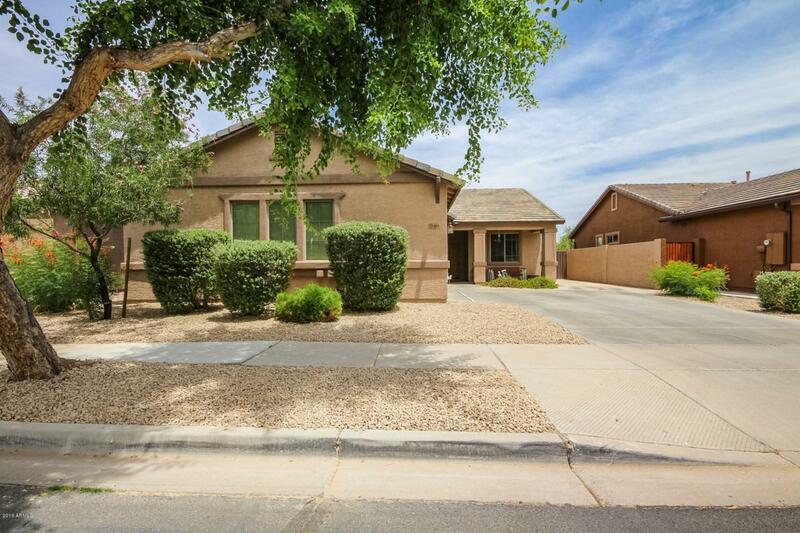 Three spacious bedrooms + den with plush carpeting and ceiling fans. 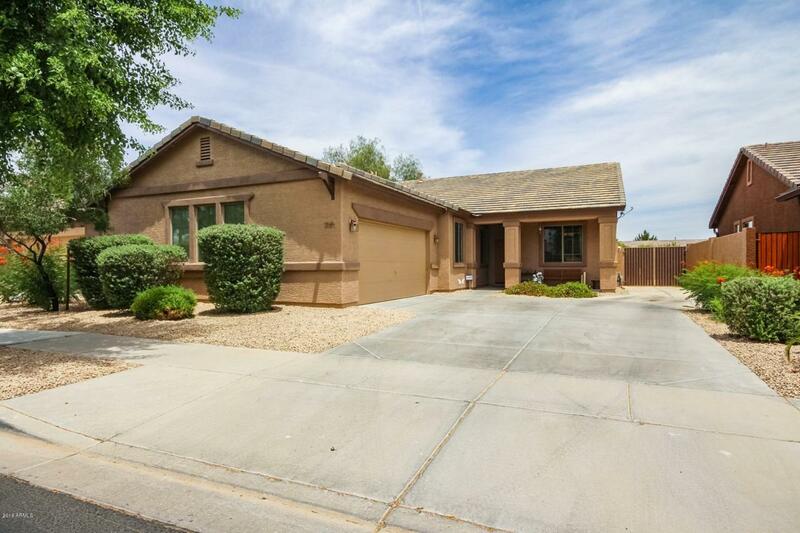 Master includes a walk in closet and an adjoining bath with a Premiere walk in tub! Generous backyard has a covered patio, lush green grass, and a soothing water feature! Don't forget the extended garage with sink and side parking leading to RV gate.